No matter how you plan on spending your V-Day this year, a night curled up with a drink and 27 Dresses, hitting the town with your best friends for Galentine's Day, or planning a romantic evening with your significant other, these 7 Valentine's Day drink recipes will help you give out all your lovin' this year. We put this little list together to show that in this season of love, Spoon cares too. The staple of any good ladies' night, these raspberry mojitos will make you wonder why you hadn't tried it before. Does it count as calories if it has fruit in it? Get your recipe here. 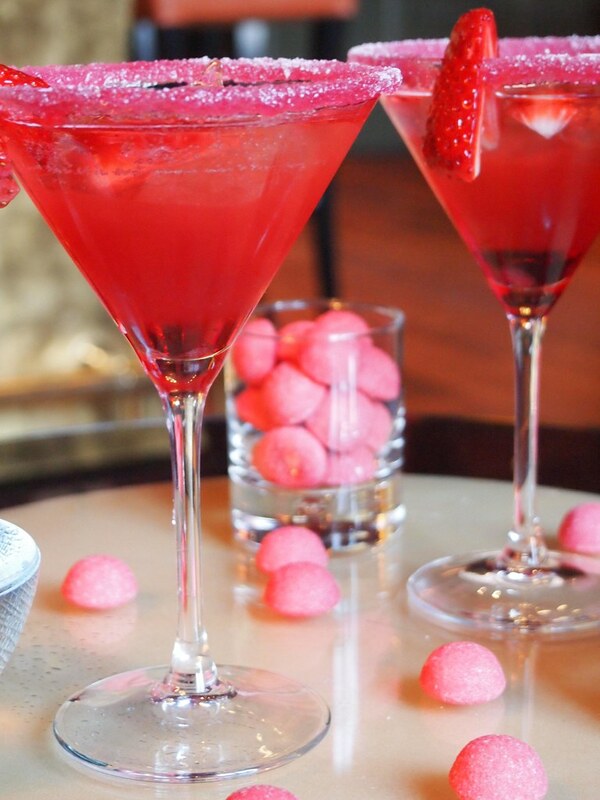 If you plan on extending your Valentine's Day to the weekend long enough to get yourself together before noon for brunch, your signature drink for the day should be this Strawberry Bellini. It's great for quality time with your favorite people while you discuss all your exes and soon-to-be's. It's light and sweet, and will give that fun feel to a V-Day full of chisme. In the end, there's nothing more classy than a good sangria. It'll bring that cultural spice to your night that your besties and/or your S.O. will die over. The best part (and maybe its greatest downfall): it literally tastes like you're drinking fruit punch. Additional PSA: it's at its prime with some seafood. Learn all you need to know to kill your fruity Spanish masterpiece from this recipe. For all you chocolate lovers, there couldn't be a better combination. While no girl loves anything more during the season of love than a nice bag Ferrero Rochers, this Chocolate Mousse Martini could be the answer to all your cocoa fantasies. Check it out here. An alcoholic spin on a childhood classic, this Betsie Temple will bring back a bunch of fun memories while making some new ones. This is that something to get through a rough night at home this Valentine's Day or to make your GNO pregame even that much better. Though you'll still make it with extra cherries, there's nothing childlike about this gal. If you and your significant other want to take your class to the next level, this one is holding out its pinky for you. All you need is some crème de cassis and champagne to make this, and your good to go. What could be fancier or easier? It's quick prep time and low calorie count makes it a simple drink anyone would root for. The ~romance~ aesthetic definitely comes with its color and taste, making it the trifecta of drinks for your V-Day. The only problem you might run into with these bomb martinis is you definitely won't want to share. The best part is that you'll be looking your chicest while drinking any of these and really, isn't that the dream?